When the Olympics were first announced to be in South Korea, there was concern regarding tensions with North Korea. The city of Pyeongchang is only 60 miles from the demilitarized zone between North and South Korea. However, a temporary peace has been achieved, as the two countries decided a while back that they will march together under a unified Korean flag. Regardless, Pyeongchang is a beautiful city worthy to host the Olympics, and is prepared with the Pyeongchang Olympic Stadium, which can hold up to 35,000 spectators. All other competition venues will be no farther than 30 minutes away. There is a catch to the Pyeongchang Olympic Stadium, however. South Korea is trying to keep it from becoming a “white elephant” venue, which are essentially venues that become neglected after the games. To accommodate this, South Korean officials have decided to simply tear it down after it serves its purpose. In the months to come, the Pyeongchang Olympic Stadium will be used exactly four times- twice for the opening and closing ceremonies of the Winter Olympics in February, then twice in March for the Paralympics. And to believe the stadium itself cost 116 billion won ($109 million in dollars) to build. The Winter Olympics were debuted in Chamonix, France in 1924. At the time, there were six sports, including skiing and bobsledding. It was known as “International Winter Sports Week” and was such a success that four years down the road in 1928, the second Winter Olympics were scheduled to take place in St. Moritz, Switzerland. Now, in the year of 2018, the Winter Olympics is just as highly anticipated. This year, the Games are attracting even more attention because of the various sporting events that athletes will attend this year. There are seven sports that athletes will be competing in, and four new events. 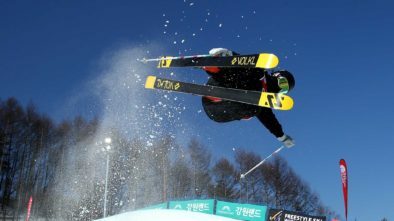 Those include mixed doubles curling, mass start speed skating, freestyle skating, and big air snowboarding. Together, the sport categories include skiing, skating, biathlon, bobsleigh, curling, ice hockey, and luge. Each year, various honorable figures and motifs are used to indicate the games. 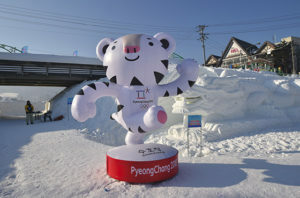 One of the most visual factors for the Games is the mascot, which Soohorang, a white tiger, will represent this year’s Winter Olympics. White tigers are believed to act as guardians in Korean culture and history, and Soohorang translates into protection, a nod towards the safety of the athletes. White tigers are also prominent in Korean folk tales. What Do the Traditional Symbols of the Olympics Look Like This Year? Within the Olympic Games are significant objects that have been a part of the Olympic tradition for years. Two of these include the medals and the torch. The medals are definitely a work of art. Designed by Lee Suk Woo, they are adorned by diagonal lines and three dimensional Korean consonants, and resemble tree trunks. The reasoning behind this? The medals are supposed to symbolize the effort that was put into tying together the Korean culture and the Olympic Games. The medals hang on teal and red gapsa ribbons, a fabric that is popular in South Korea, and is decorated with various patterns and designs. 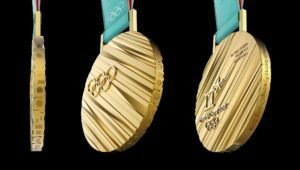 259 sets of medals were crafted for the Winter Olympics. The heaviest is the gold, weighing 586 grams, and the lightest is the bronze, at 493 grams. Another item to make a lasting impression of the 2018 Winter Olympics is the torch. The use of the torch originated from Olympia, the home of the Ancient Olympic Games. The flame represents the benefits and values that are associated with fire. This year’s torch is of beautiful white and gold shades, which are the official colors of the Pyeongchang 2018 Olympic Winter Games relay. There is a five-pronged shape of a flame etched into the bottom half and the top of the torch to indicate the Korean symbol for Pyeongchang. The cap, which is in the shape of a pentagon, signifies the universal love and appreciation for sports. Unfortunately, funding for the 2018 Winter Olympics has not been a breeze. There had been little support from sponsors, issues with construction, and on top of it all- slow ticket sales. The average Olympics cost more than $8.9 billion, and taxpayers contributed greatly to the cost. Not all hope is lost, however, for other cities that have hosted the Olympics in the past faced a similar problem that was solved with an increase of ticket sales as the Olympics drew closer. So there you are- an overview of what you should expect in the 2018 Winter Olympics in Pyeongchang. 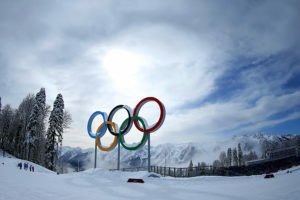 Make sure you enjoy the event while it lasts, because the next Winter Olympics won’t take place until 2020, in Beijing. To get the full details and watch the entire event, NBC will be broadcasting it online and on television, so you can follow the Games wherever you are!